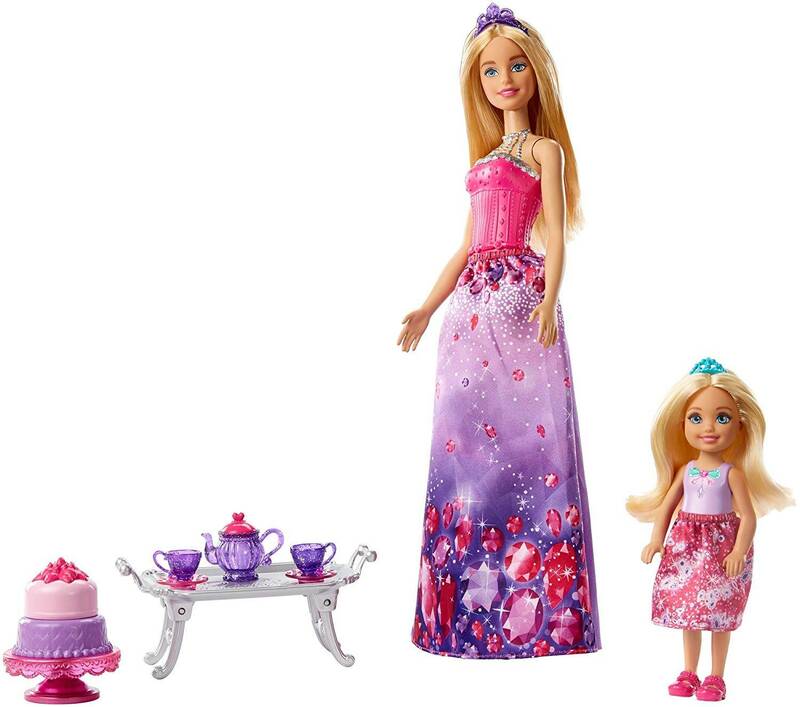 ​Barbie and her little sister Chelsea have prepared everything for a tea in the Jewels kingdom. They have a royal looking tea set and a two-tier cake that allows the levels to be removed. This inspires children to invite guests to tea. The Barbie doll is dressed like a princess. She wears a dress with jewel elements, a detachable skirt with gemstone print, matching shoes and a purple tiara. The Chelsea doll also sparkles - in her gemstone skirt, jewels on her purple top, pink shoes and teal tiara. The silver-coloured tray with the fold-out legs looks particularly elegant and is ideal for tea, cakes and lots of fun. 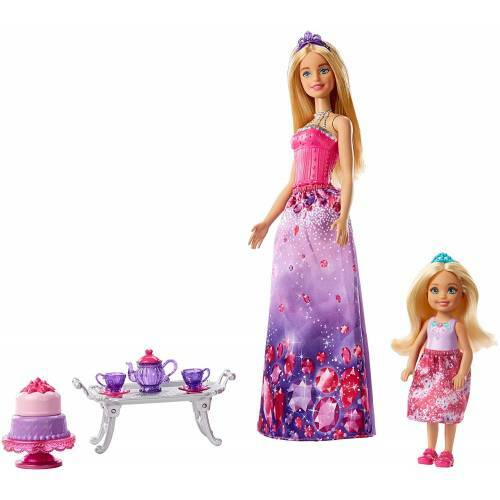 Kids can think of many stories with Barbie and Chelsea and their tea set. For those who enter Dreamtopia are in a world where dreams come true! Barbie Dreamtopia dolls and accessories are perfect for collecting and stimulating dreams and play. (All items sold separately) Includes Barbie doll with fashionable clothes and accessories, Chelsea doll with fashionable clothes and accessories, a multi-tier cake with removable levels, a tray with fold-out legs and a tea set consisting of a teapot and two tea cups with saucers.